The cosmos is vastinfinite and incomprehensible. Trillions of galaxies, sextillions of stars, and countless planets, moons, and asteroids all spiral in space, not caring about or noticing what is happening on Earth. But for those living on the planet, a momentous battle prophesied more than fifteen centuries ago by the wizard Merlin is about to begin. Roger Reynolds is one of a small group of super Geniuses who have secretly been influencing the world. He recently defeated a very powerful evil Genius determined to kill him and his beloved wife and daughter, and rule the world. He hoped this victory had ended the threats against his family prophesied by Merlin. But now Roger is being plagued by nightmares and attacked by people whose brains are controlled by an unknown enemy. Roger senses a terrible menace is approaching. Only time will tell whether he is strong enough to protect his family and the world from the coming evil. Merlins sixth-century prophecy unfolds as Roger battles an immensely powerful evil Genius. 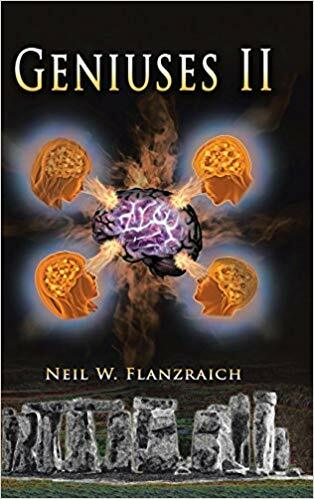 Neil Flanzraich graduated from Harvard College and Harvard Law School. He has worked in the pharmaceutical industry for over thirty years, and is currently the executive chairman of a biotech company, and lead independent director of a New York Stock Exchange- listed company. 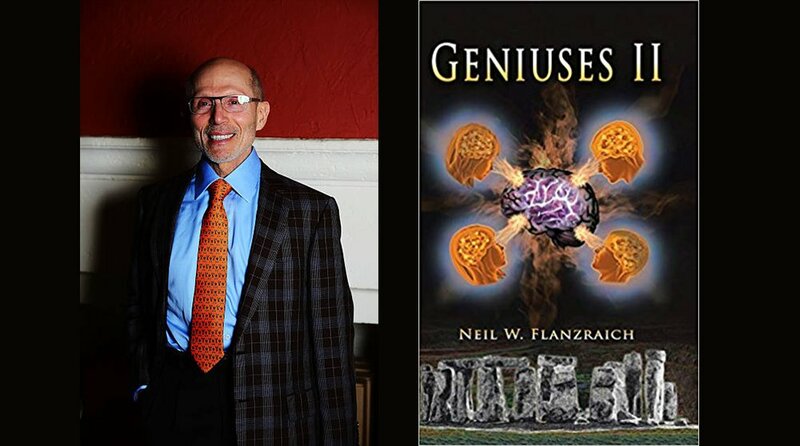 Flanzraich and his wife, Dr. Kira Flanzraich, live in Coral Gables, Florida. They have two adult sons who live in New York City. This is the second novel in his Geniuses series.